Ultra low heat input M&R welding electrodes – Excellent repair & hardfacing performance. Superior weld metal chemistry, mechanical properties & wear resistance properties. Available full range of unique alloys – Steel joining, Cast iron repairs, Inconels, Non-ferrous, Build-up, Chrome boride hardfacing, tubular hardfacing, Cutting & Gouging. 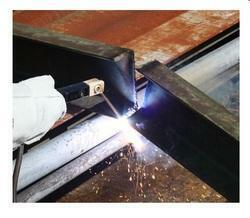 High tensile /high elongation dissimilar steel welding. We offer 'SUPERON' make 'SUPER STAN GOUGE' Electrode for Gouging and chamfering, cast iron and other ferrous metals. Removal of Studs, bolts, nuts and rivets from the structure. * High Arc Force leading to easy gouging. * White smoke leading to easy crack spoting while gouging. * Delayed arcing for preplacement of electrode. * Superb U groove preparation. * Minimal Cleaning after groove preparation. 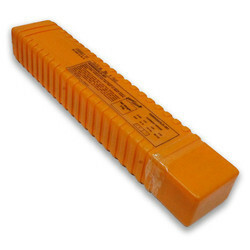 * Fast removal and low electrode consumption. Make: SUPERON SCHWEISSTECHNIK INDIA LTD.
We offer 'SUPERON' make 'FERROTRODE POWER CUT' electrodes for cutting of all kinds of metals-alloyed & unalloyed steels, non-ferrous metals, cast iron & cast steels. * Cleaning castings of runners and risers, remover flash etc. * High Arc Force leading to easy cutting. * No electrode overheating till the end. * Exothermic coating and highly concentrated arc. * Versatile - can be used for any metal.